Isn’t this the cutest pig cutting board you’ve ever seen? They make a great gift idea for Weddings, Housewarming, Birthdays, Mothers Day, or any gift giving occasion! It's the perfect chopping board for cutting up your veggies. They also make a great cheese board or bread board. 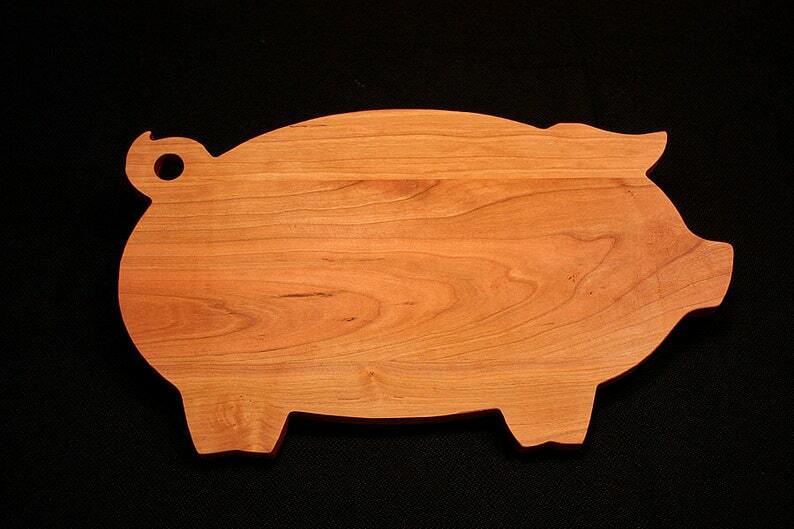 Our Pig cutting board is handmade, heirloom quality and made from beautiful solid Cherry hardwood. It measures approximately 16″ by 9″ and is 3/4″ thick. The finish is 100% FDA approved as food safe.